All Periods: Finish your respective levels of learning upgrade by tomorrow, FRIDAY, for full credit. Period 7: No homework. Finish your learning upgrade levels to 21 by Friday. Period 1,2,3: Learning Upgrade levels are due Friday!!!!! And if you did not finish the triangle ball, bring the pieces Friday so you can finish them. Homework for periods 1,3,5: Finish levels 13-21 on learning upgrade by Friday. There was no direct homework because we took a test. Period 2,4: Finish the percent house if you did not finish in class. We will work on finishing learning upgrade by the end of the week. 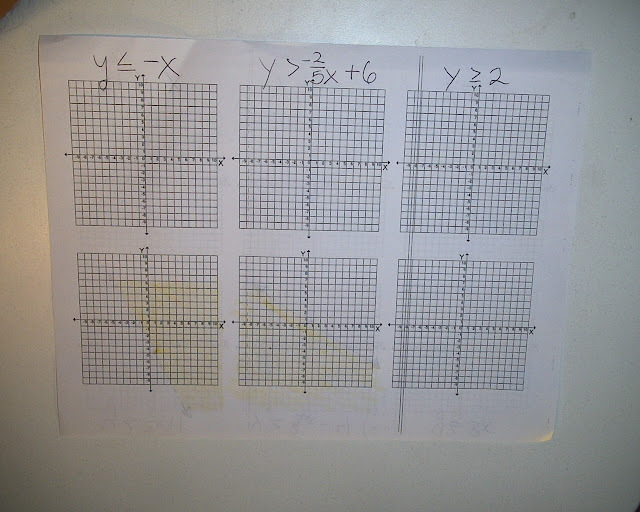 Period 1,3,5: Finish graphing the systems of equations. 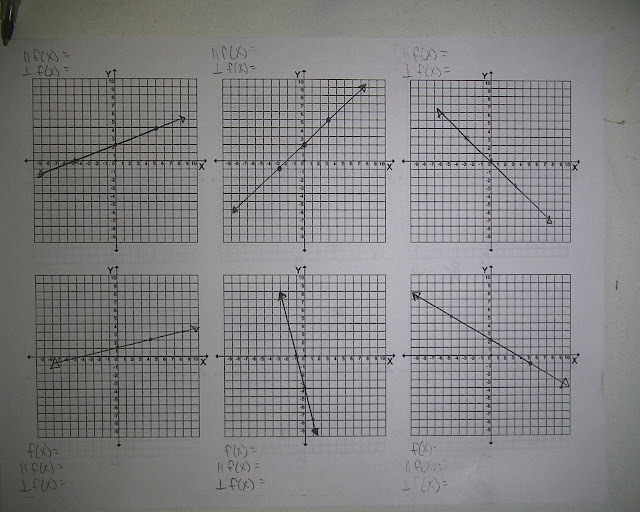 Period 7: Finish backside of listing hte inequalities that made the graphs. Period 7: write down the two inequalities that make the graph shown on the paper I gave you. 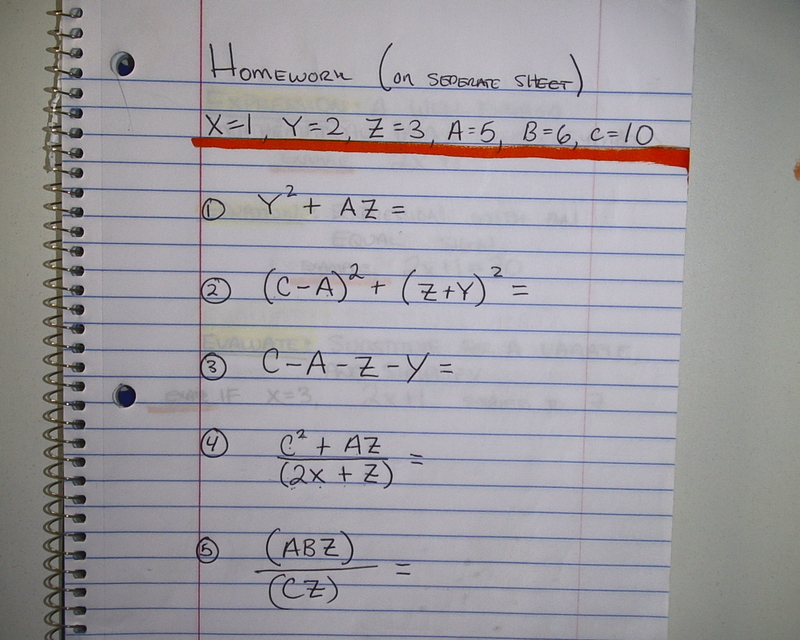 Absent yesterday, there was no homework. 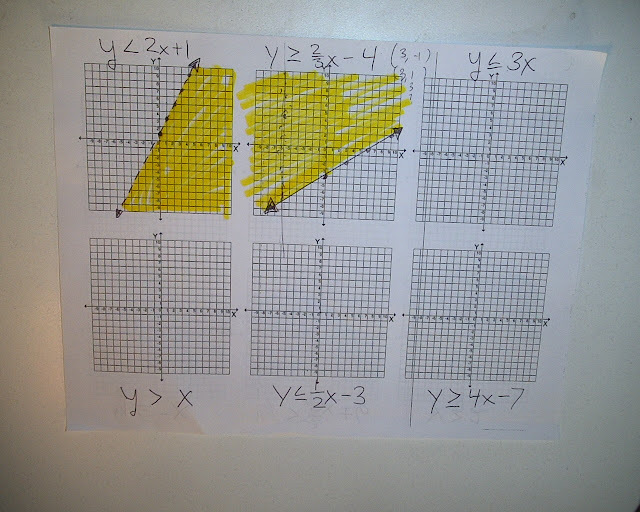 Period 7,1,3: Finish the graphing inequalities worksheet, both sides. Period 2: Finish the decimal-percent worksheet. 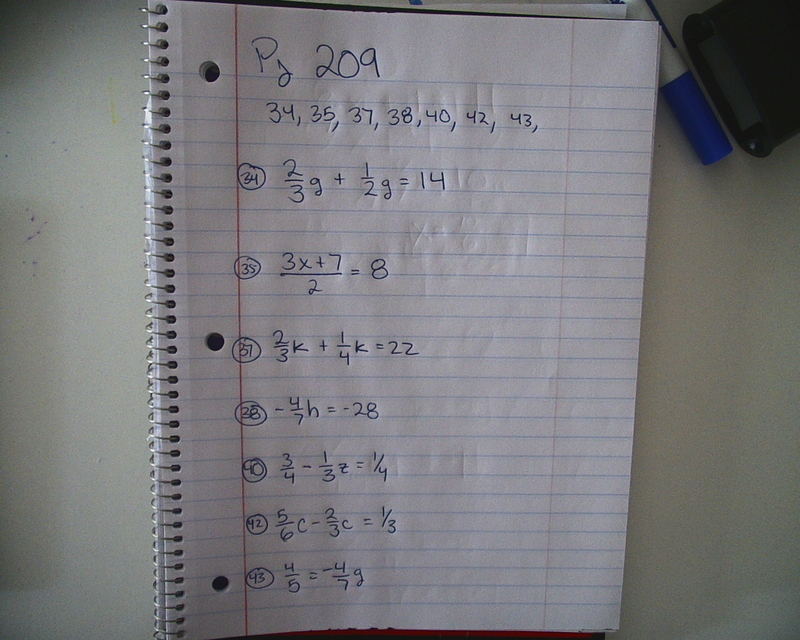 Homework for periods 2,4: Finish converting fractions, decimals, and percents. Period 1,3,5,7: Graph the inequalities shown below. 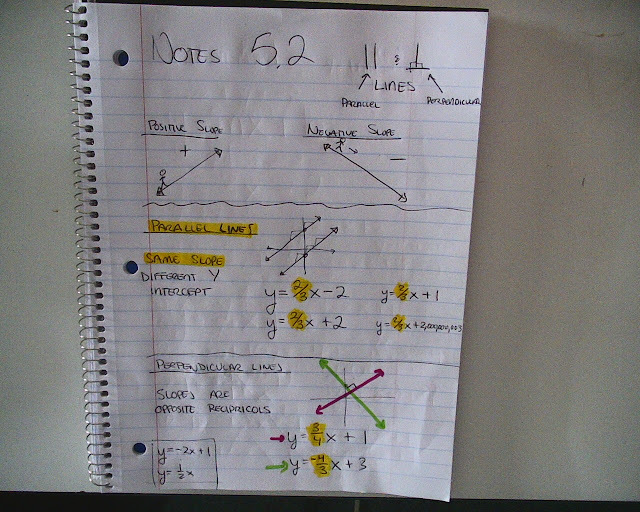 If you need graph paper, click the link on the right for "6 Mini Graph"
Monday at Lunch: Bring your test with you to retake the test. If you do not bring your test, I will not let you retake the test. 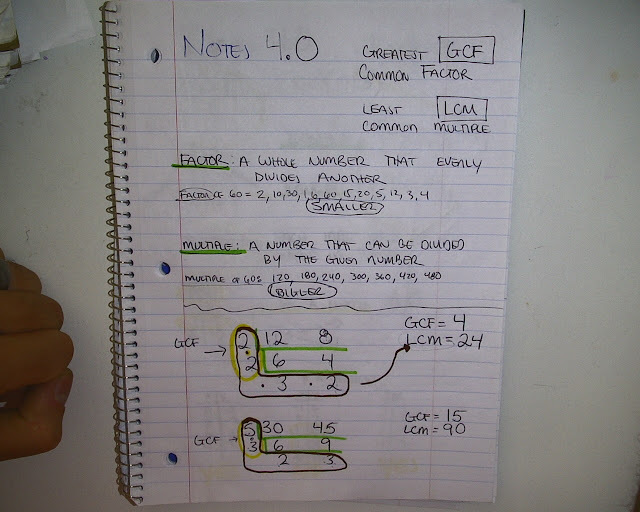 Period 1,3,5,7: Learning Upgrade level 14 is due tomorrow. Period 2: We redid a test. No homework. 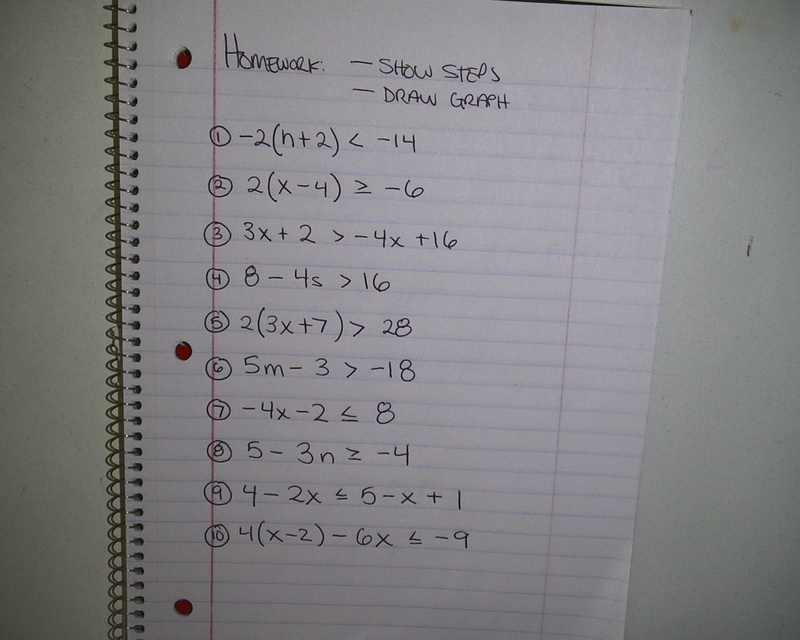 Homework for periods 1,3,5: Graph the following 18 equations. 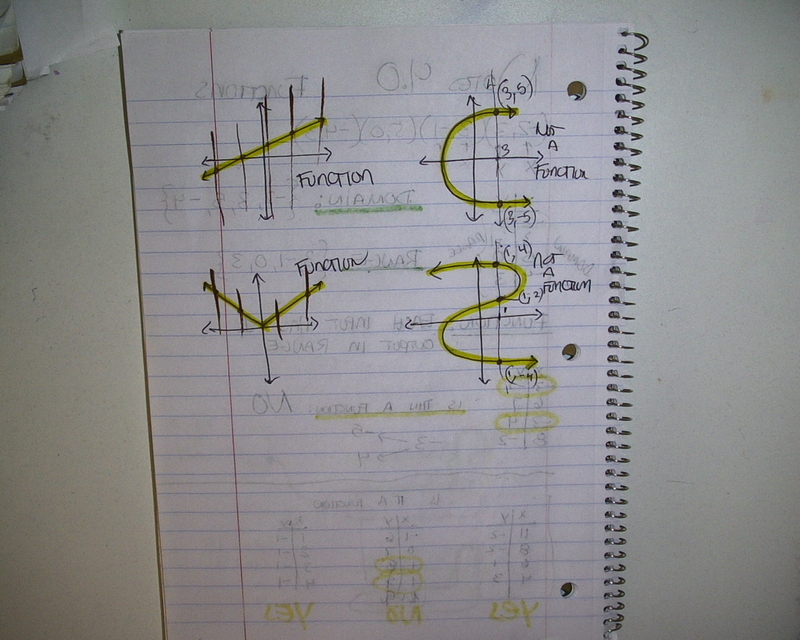 For the yellow ones, give a parallel and perpendicular function and please graph them. There will be a test next time I see you. Period 2,4: Finish the T-tables and be sure to bring them back so we can work on them next time in class. 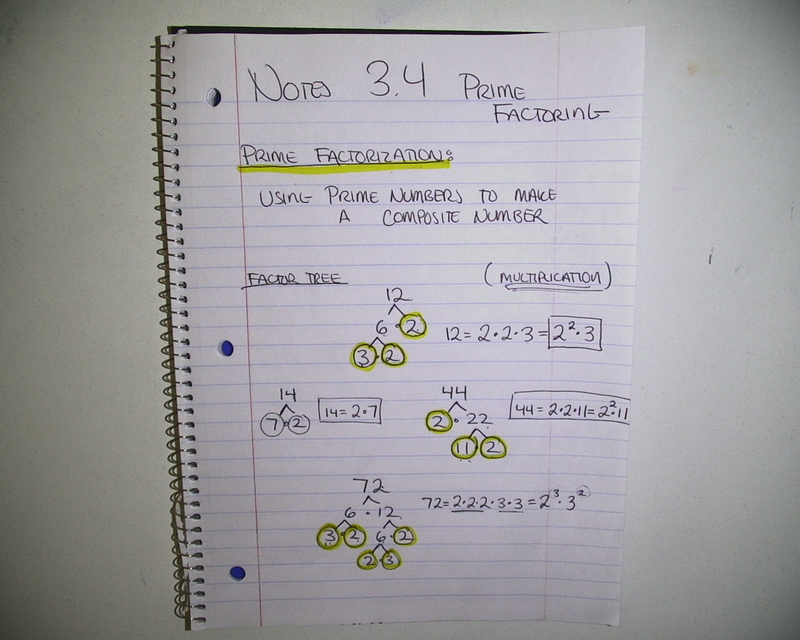 Period 2,4: Finish the fraction-Decimal worksheet. Bring it back tomorrow. 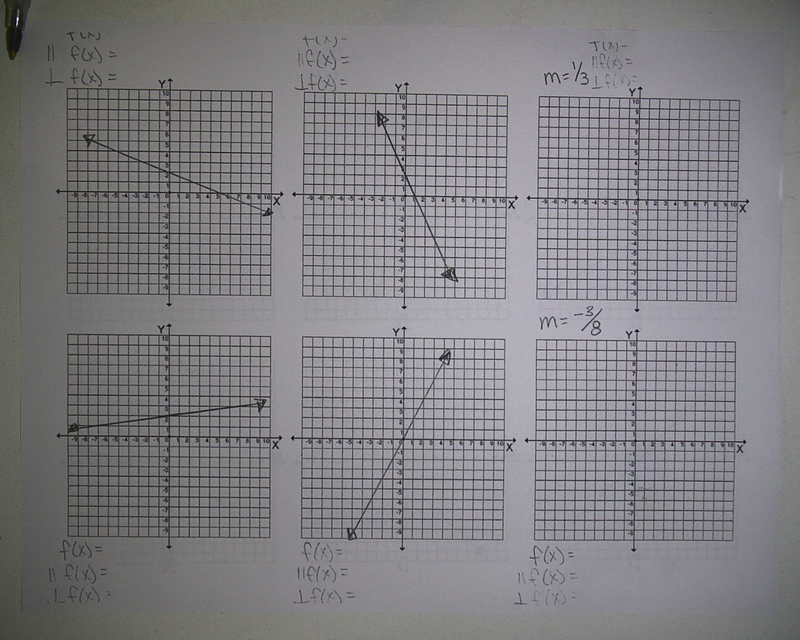 Homework for periods 5,7: Finish graphing parallel and perpendicular lines. 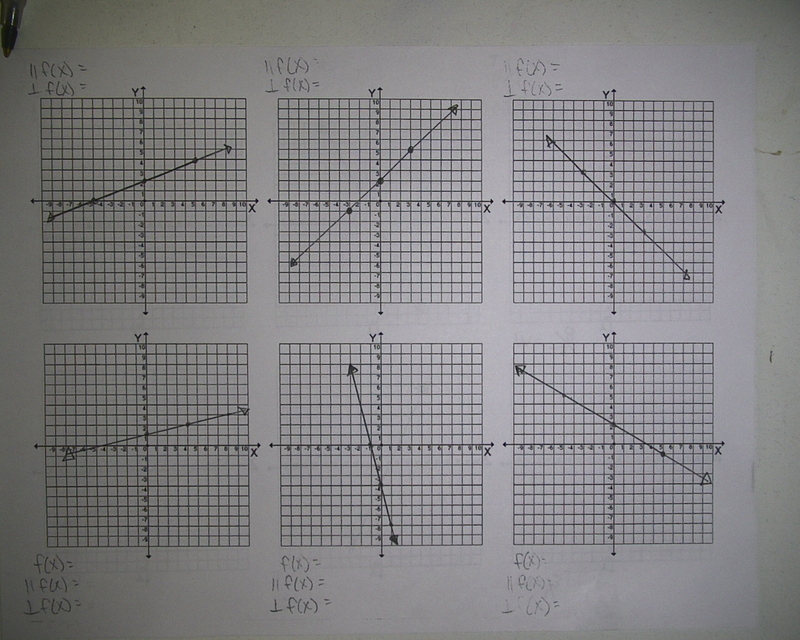 Look for an earlier post to see the graphing assignment. Period 4: Finish level 20 on learning upgrade. Pre - Algebra: Test TOMORROW, FRIDAY, on adding fractions and fraction-decimal conversions. Period 2: Finish level 20 on learning upgrade. Pre - Algebra: Test FRIDAY, on adding fractions and fraction-decimal conversions. 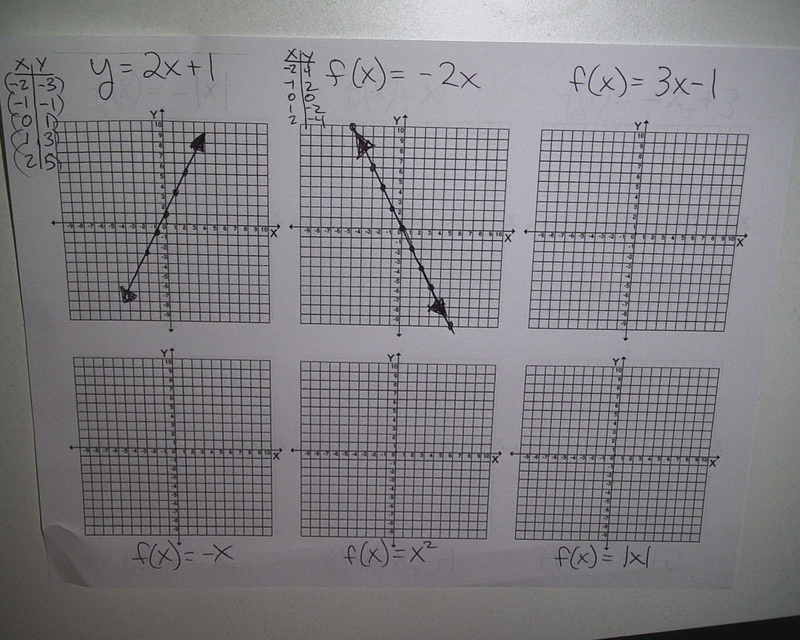 Homework for periods 1,3,5: Finish graphing the 7 functions from class. 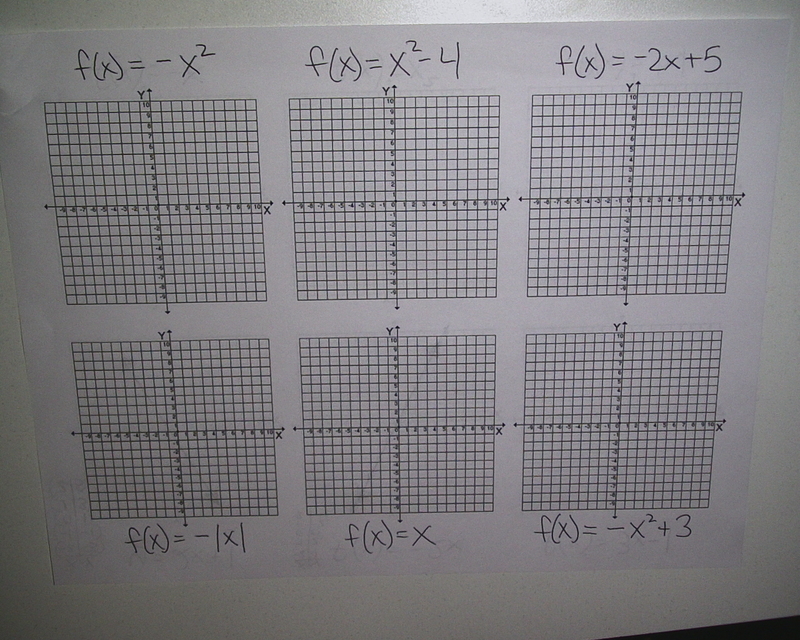 Period 2: Finish multiplying worksheet. 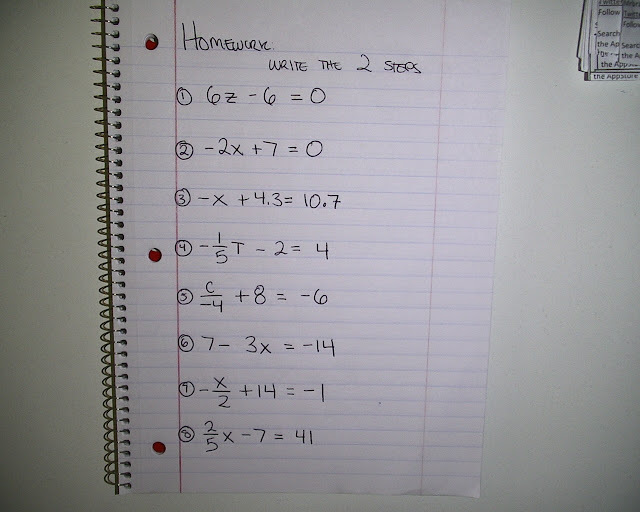 There was no homework for anyone. 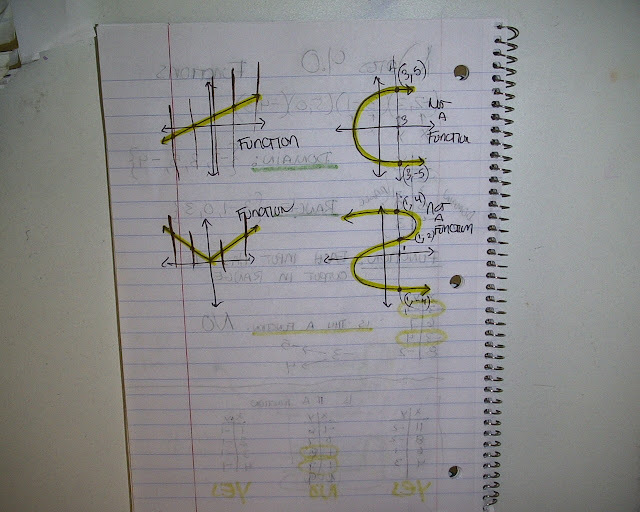 Pre Algebra, bring your fraction tables back Monday. Algebra, check your test grades on Student Connect. 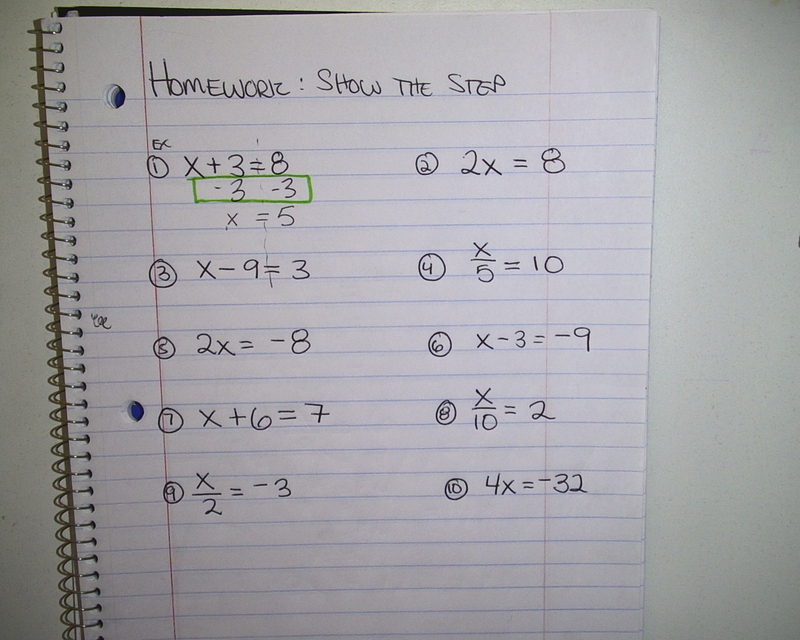 Homework for period 4: Finish converting all the improper fractions to mixed numbers on yesterdays homework. Period 5: Finish levels 28,29 on learning upgrade. Period 7: Finish the inverse variation worksheet. Many of you finished in class and were stamped. 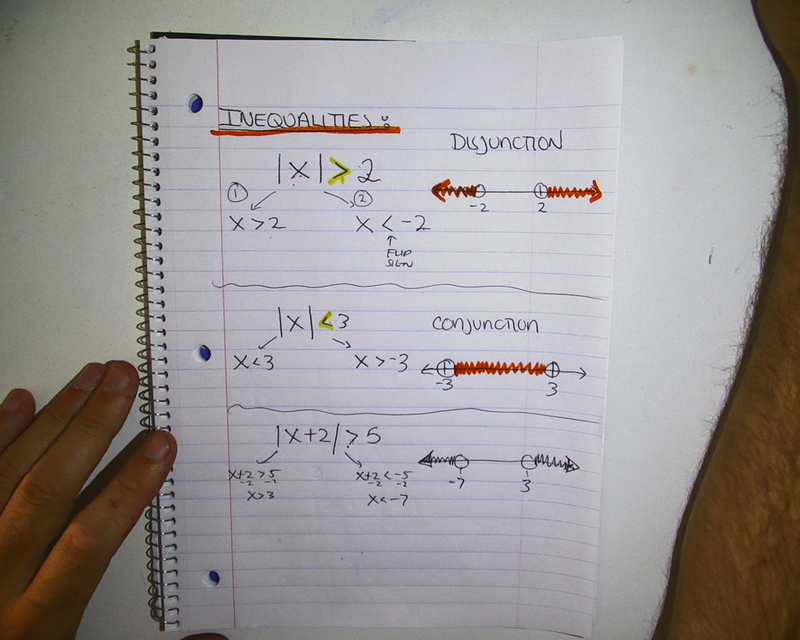 Advanced Algebra: Test tomorrow on functions. 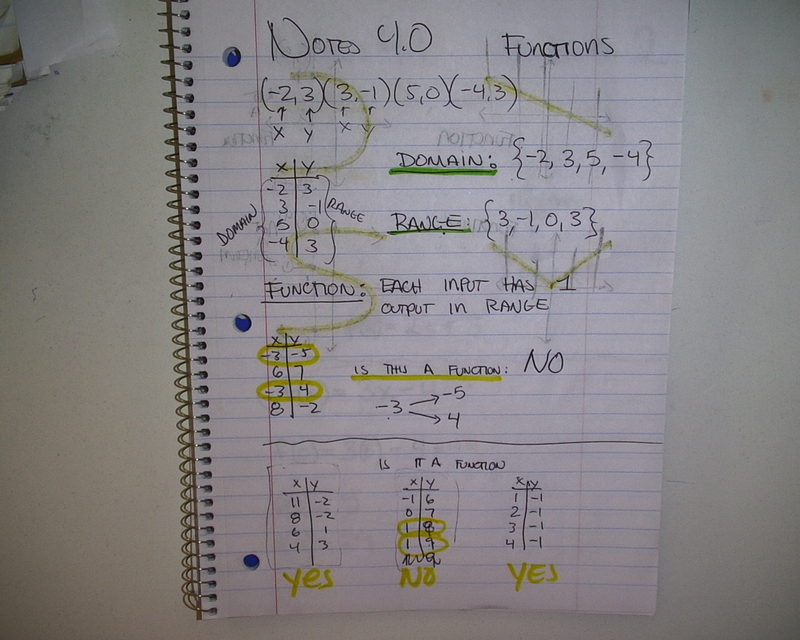 Graphing, domain, range, and are they functions. 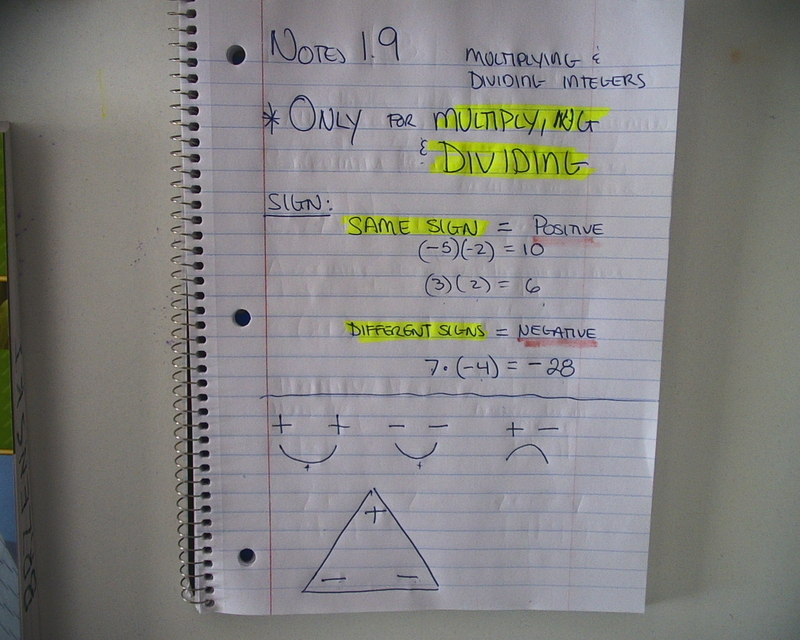 NO direct or inverse variation. Just the other stuff. 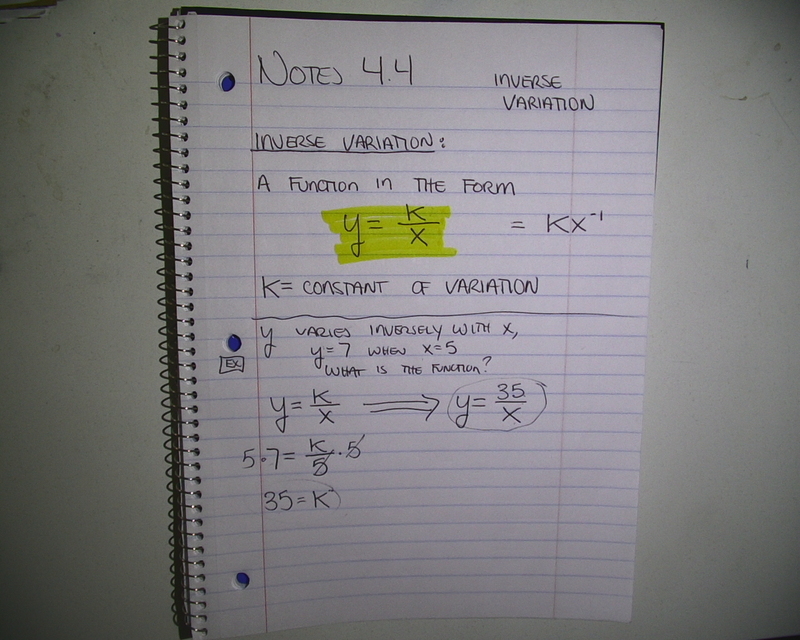 Period 1,3: Finish inverse variation worksheet. 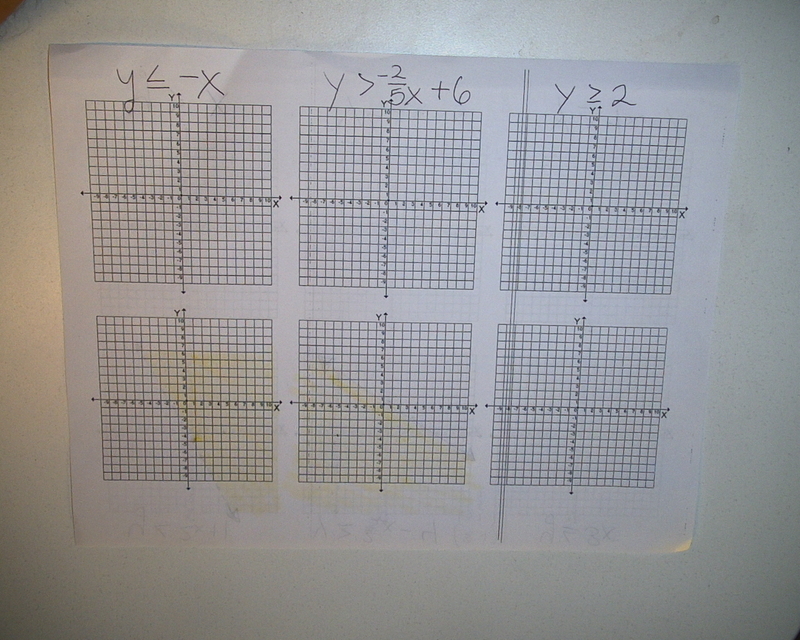 Period 2: Have the first column of the fraction decimal chart finished. 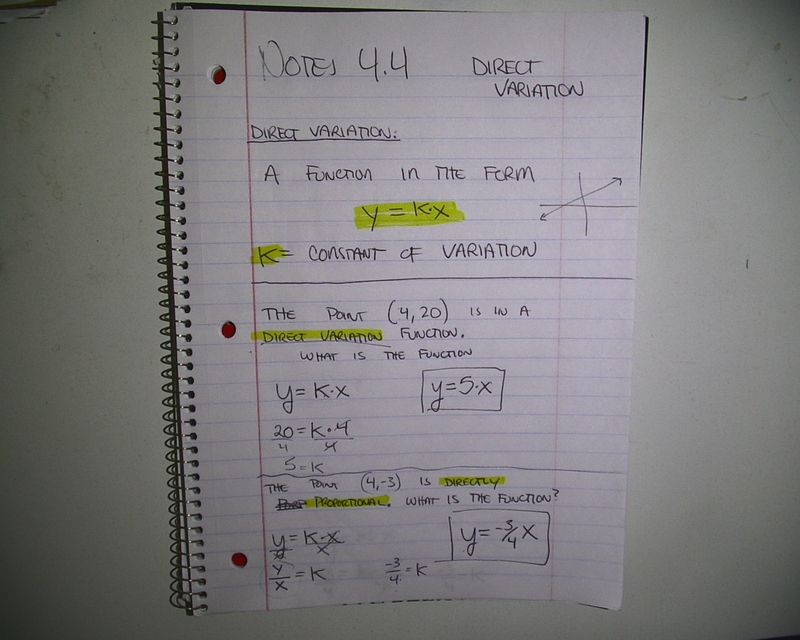 Homework for period 1,3: Finish the worksheet on direct variation. Period 2,4: Finish the adding worksheet, front and back. 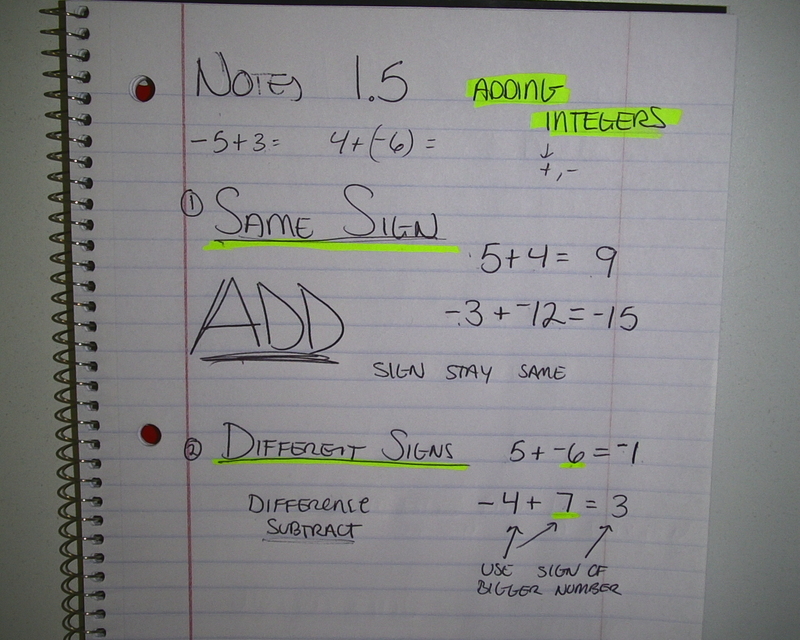 Do not worry about simplifying or rewriting improper fractions, we will do that tomorrow. 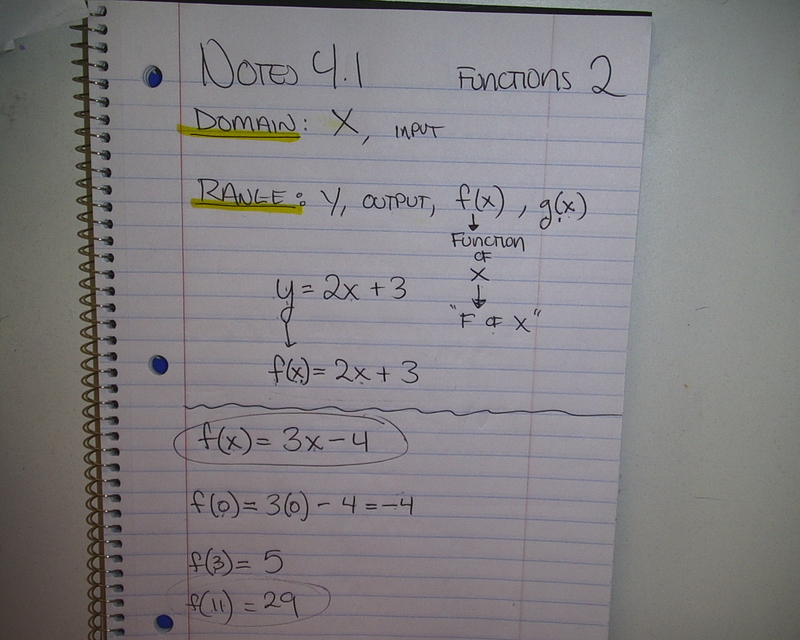 Homework for period 5: Finish page 253 from workbook, finding functions. Period 4: Most of you finished the comparing worksheet, bring it back tomorrow to work on the backside. There is no homework today. There was a sub. You were supposed to turn in the worksheet from class. Hopefully it was relaxing. TURN IN YOUR FEDERAL SURVEY CARDS!!!!!!!!!!!!!!!!!!!!!!!!!!!!!!!!!! 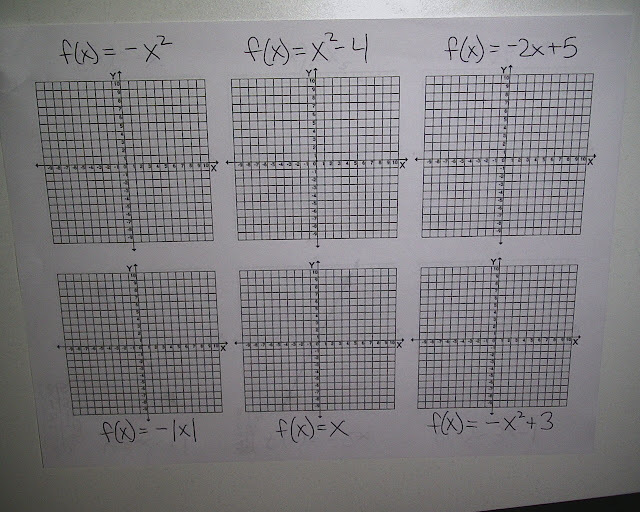 Period 1,3,5,7: Finish graphing the functions given to you in class. They are included below for your convenience. You can print out the little graphs by clicking this link. It is also available from the menu on the right. No homework, we took the benchmark. If you have not turned in your federal survey card, please bring it tomorrow. Period 2: I apologize, you do not have your cards yet, still working on it. Hopefully tomorrow. 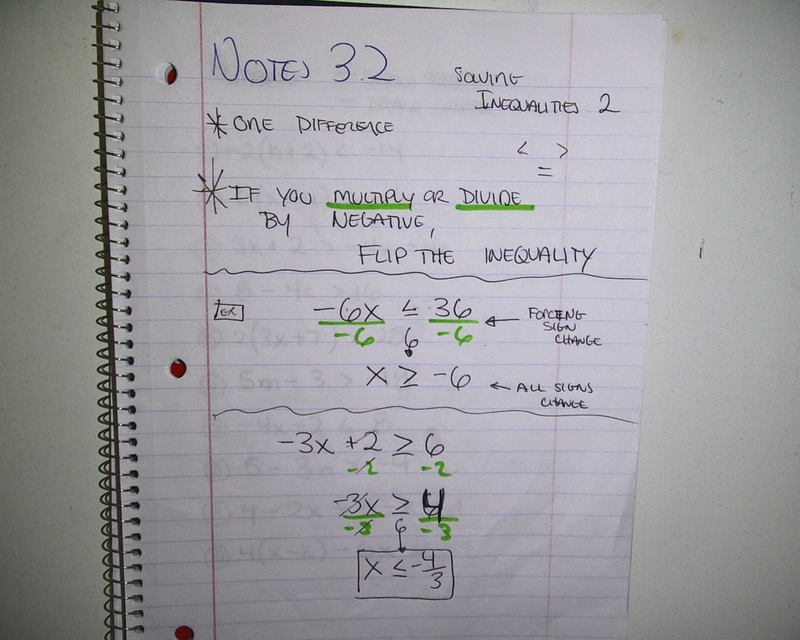 Algebra: PLEASE turn in your inequality projects. If I do not have it, its a zero in your grade, and it counts as a test. Turn in something. 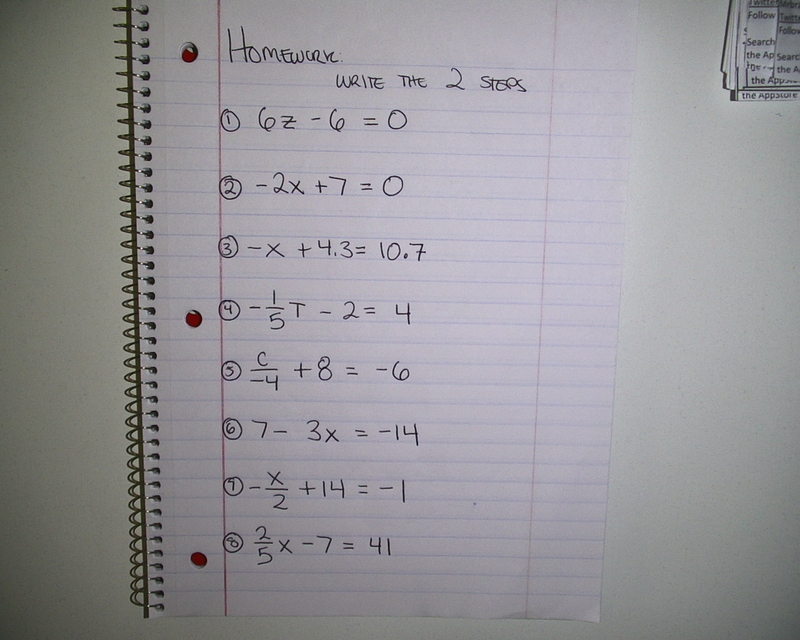 No homework for everyone. Bring your federal survey cards back if you didn't bring it back today. Homework for periods 1,3,5,7: BRING YOUR FEDERAL SURVEY CARDS BACK!!!!!!!!!!!!!! 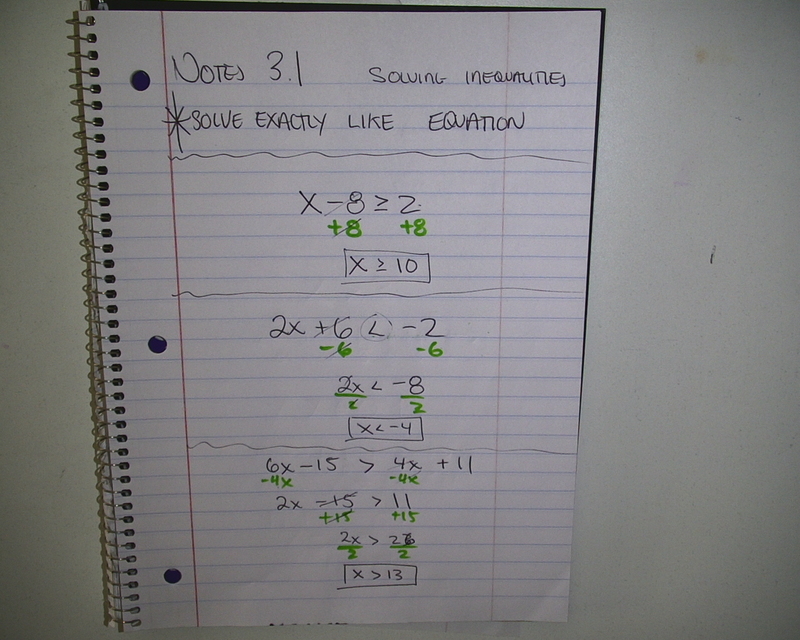 and finish your inequality project. Period 2,4: BRING YOUR FEDERAL SURVEY CARDS BACK!!!!!!!!!!!!!! 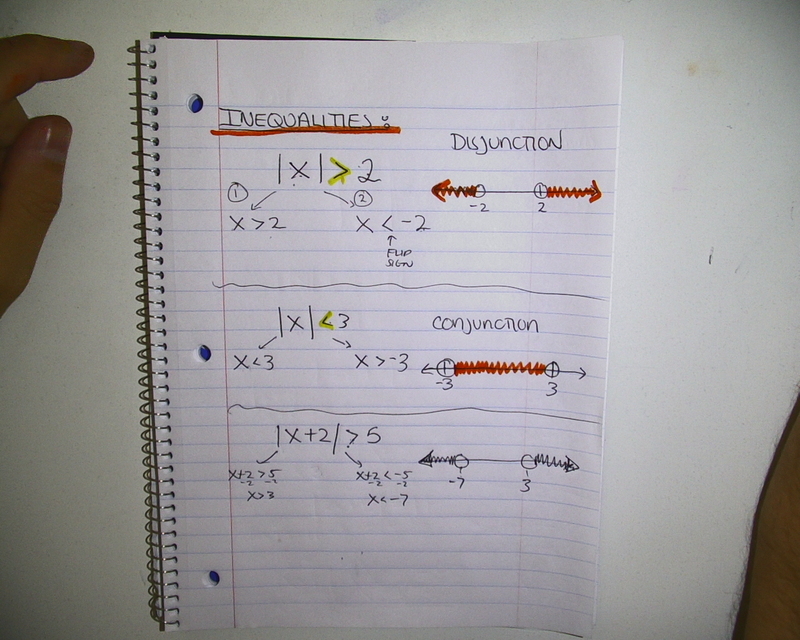 Period 2: Finish front and back of factor-tree worksheet. 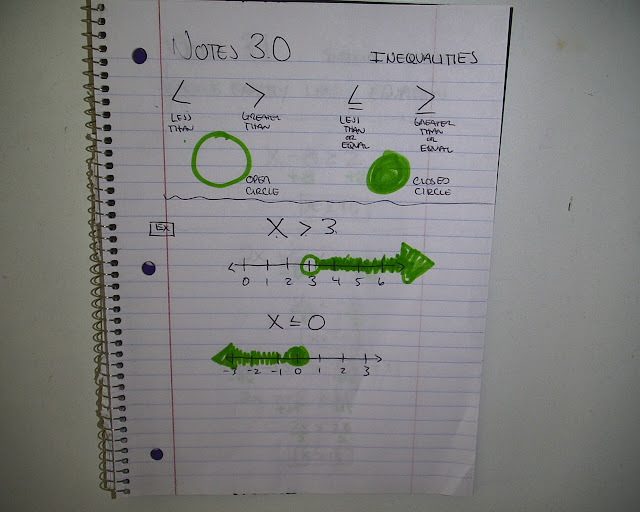 Notes will show up later, sorry. 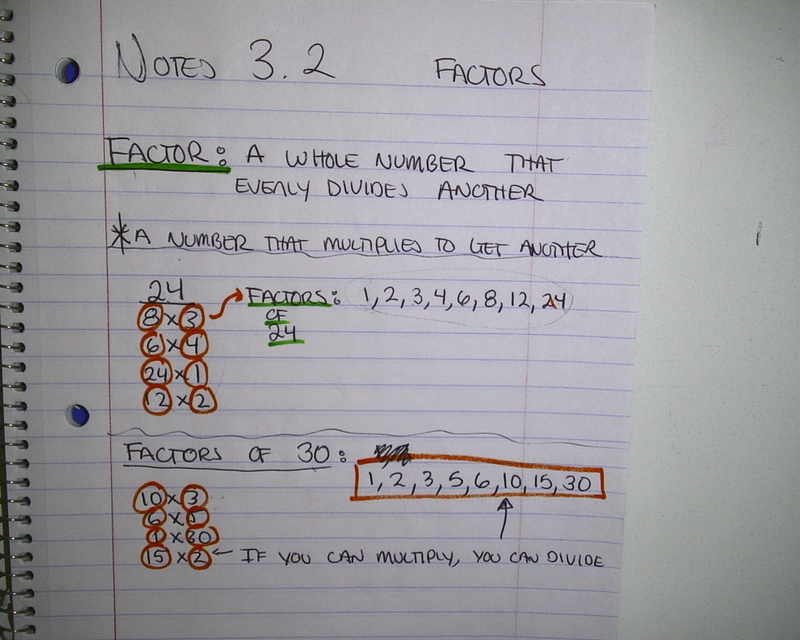 Period 2,4: Finish page c-9, listing the factors of the given numbers. If you missed the notes today, check the posts below for updates. I also added the notes from Friday, which for some reason were missing. Solve the following and be sure to show the step, before the answer. Period 4: Finish problems from workbook, its ok to use calculator. 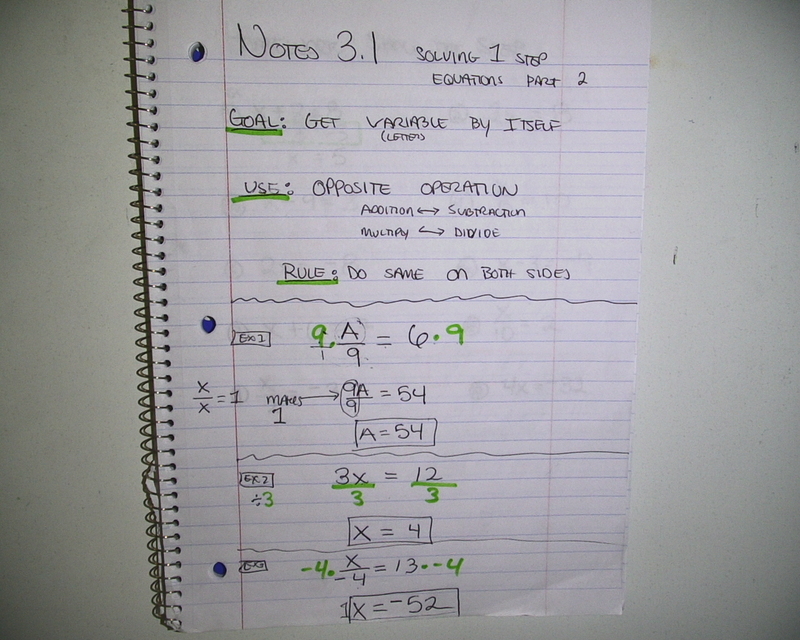 Period 2,4: Finish levels 3,4 on learning upgrade, the Property levels. I will not be in class on Monday (but I will be at school!?!). So, you have until Tuesday or Wednesday to finish. 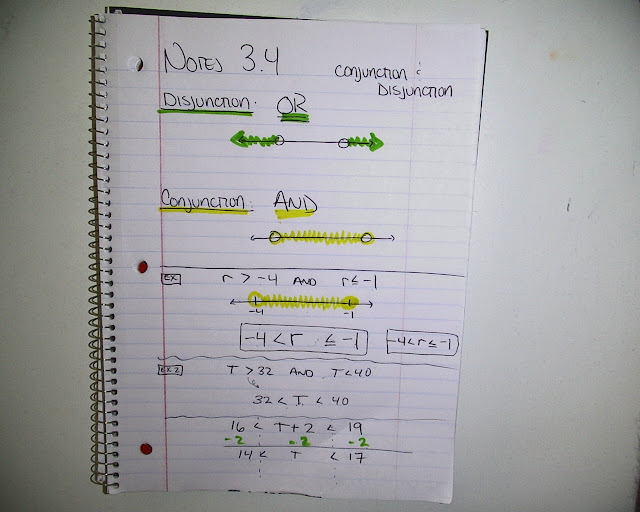 Homework Period 1,3: None, you took a test. We will do our citizenship rubric on Friday. Period 2: None, we took a test. Retakes are on Friday. 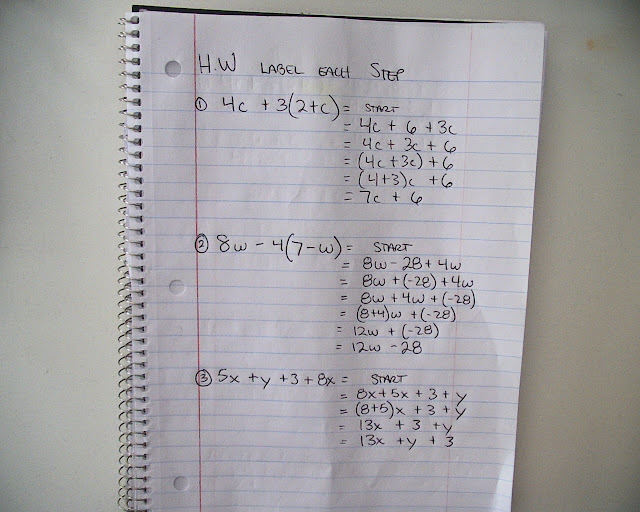 Homework for period 1,3,5: Finish the consecutive Problems. Period 2,4: Most of you finished the review worksheet, but if you didn't, finish, page 1,4 review substituting and property page. Homework for periods 1,3: Finish the triangle problems on the worksheet. 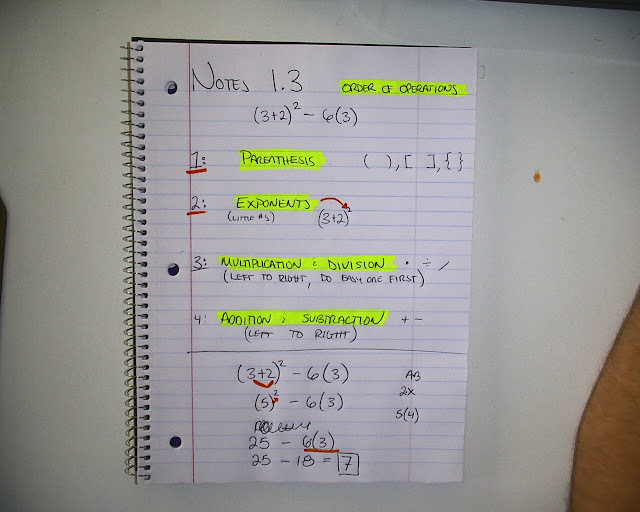 Period 5,7: Finish 1-5, and its ok if you dont get 5, just get the equations. 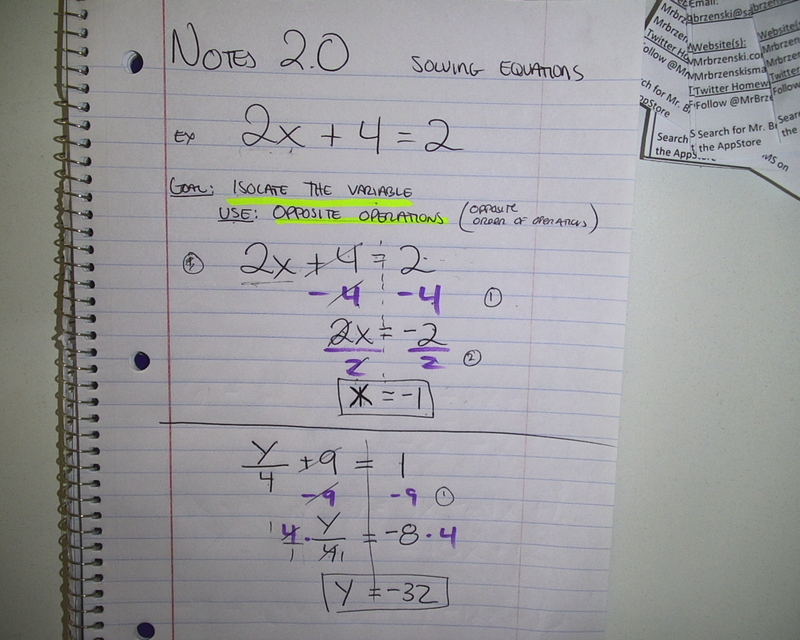 Period 2,4: Finish the review worksheet on order of operations and positive and negative numbers. Period 1,3: Finish the 10 word problems on worksheet page 43. Period 2: Finish to problem 10 on the worksheet. Homework for period 2,4: Finish the first level of learningupgrade.com. PARENTS: the user name and password are the same for your children as their signon and password for any computer at school. Usually it is their ID number, and a unique 9 digit password they have written in their planner. The school ID number field is left blank. If I told them they need a number for it, our school id is "597"
Homework for period 2,4: Finish the adding, subtracting, multiplying page (E-64). If you finished it and turned it in I gave you a stamp in your planner on TODAY. 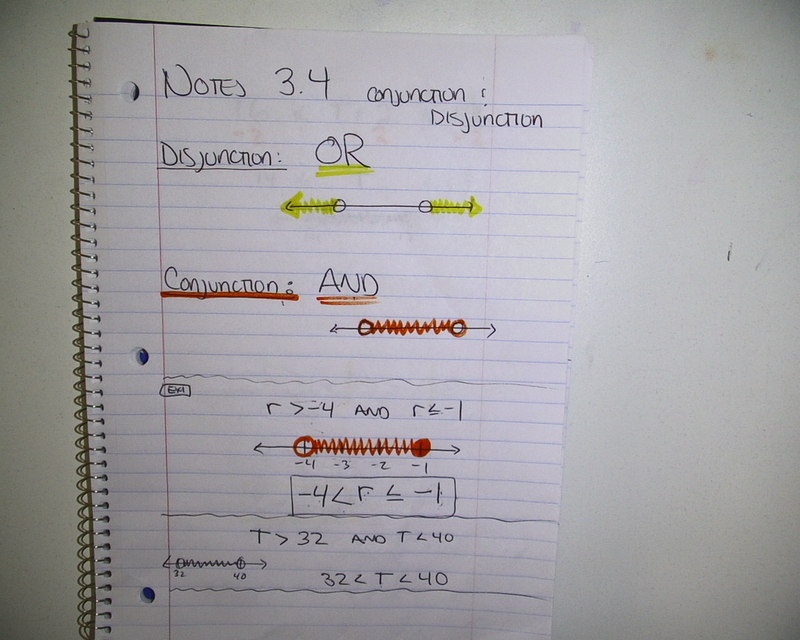 Period 1,3,5,7: Rewrite the following four equations 3 different ways, using a different operation every time. 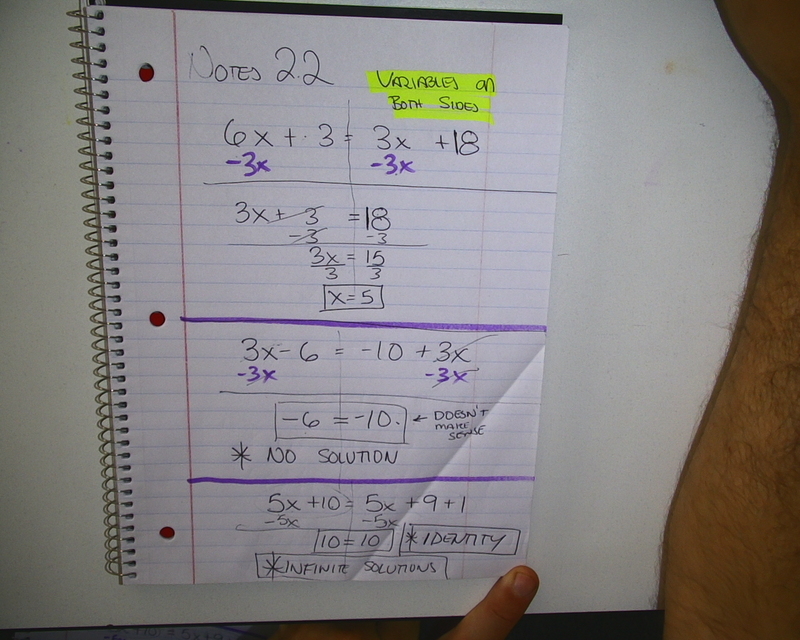 Here are the problems from the Algebra workbook. 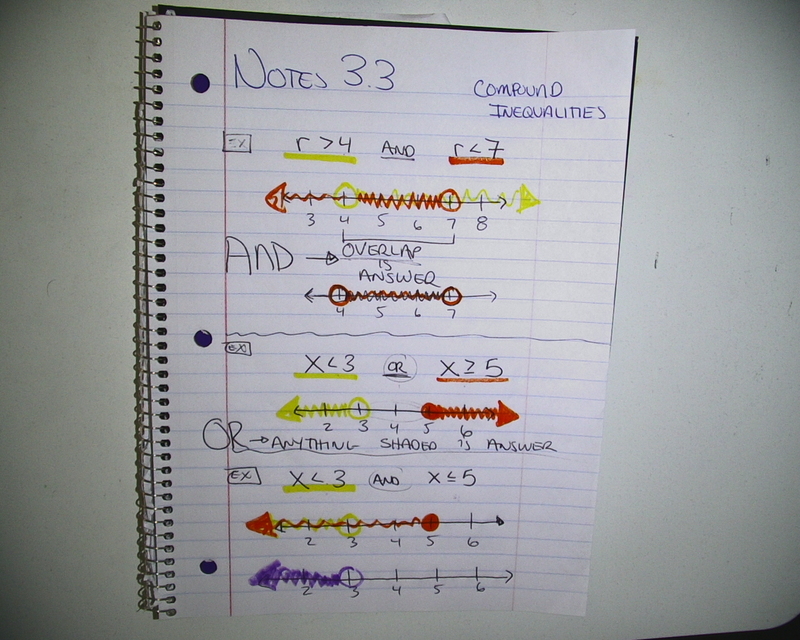 Period 2,4: Page 233 in workbook. Finish the top problems. No homework for any classes. We took a test or quizzes. 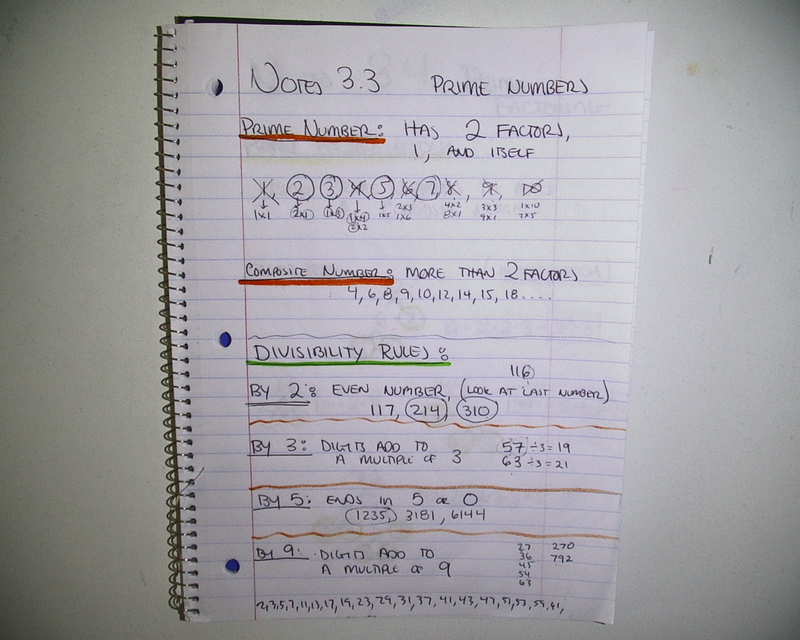 Pre-algebra, your scores are already posted. There will be a opportunity to redo the test next week. 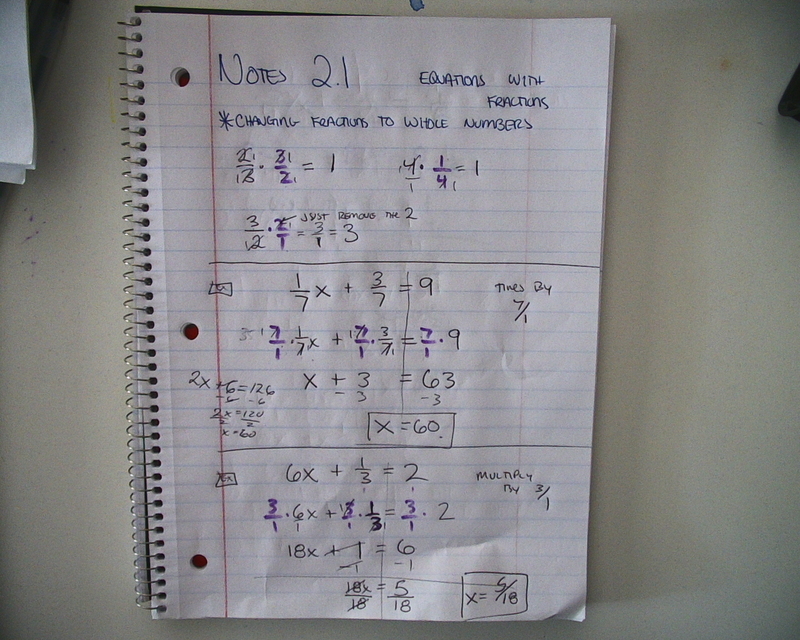 Algebra, your scores wil be scanned next Monday. Homework for period 4: Finish page 213, 215, all the problems. 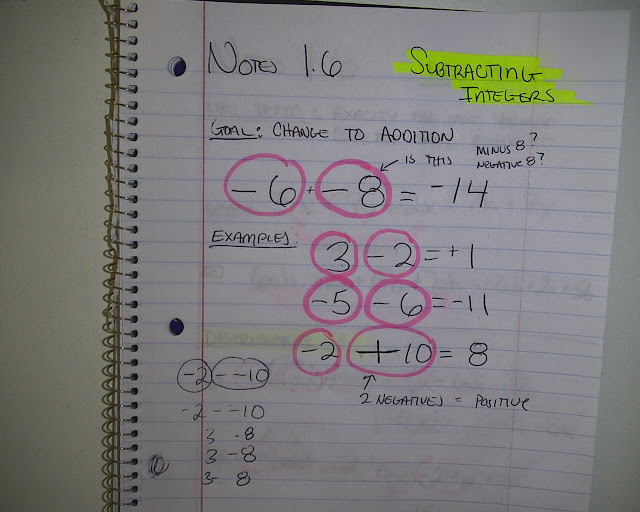 Pre-Algebra: Thee will be a short quiz on positive and negatives, and order of operations. Period 1,3: No homework, Test on Friday on everything we have done. 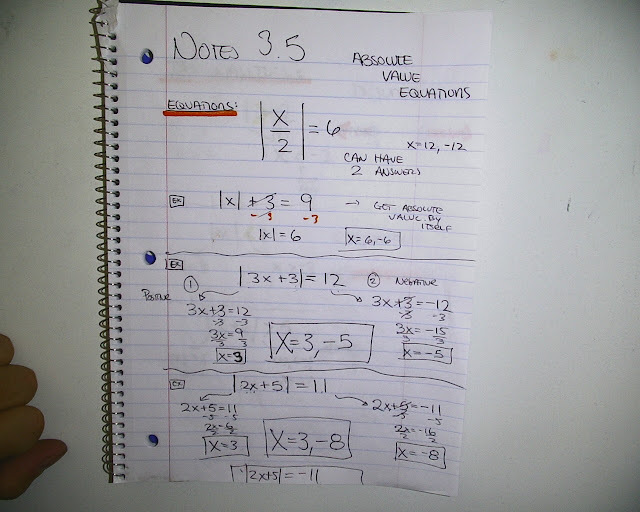 Order of operations, evaluating, expressions, properties, and messed up distributive property. Period 2,4: Handout E-59, ONLY write the SIGN of the answer, we will do the work in class tomorrow. 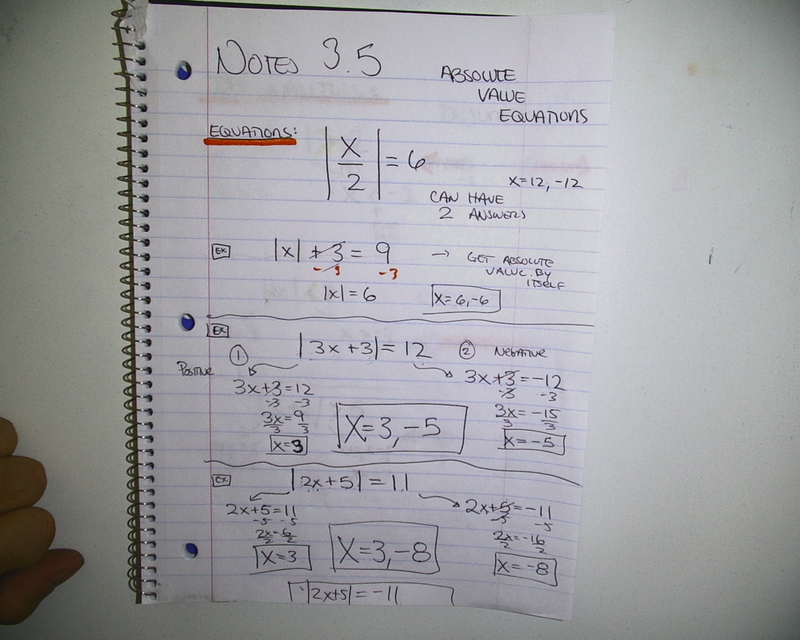 Homework for Algebra, 3 Problems, next to each equal sign, write what property I used to get it. Period 3,5,7: Three Problems, see next post for copy of notes and homework problems. 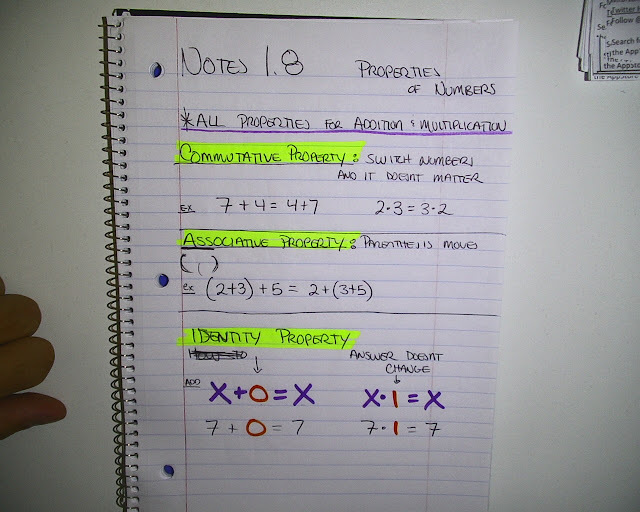 For homework, label each step with what property is being used. 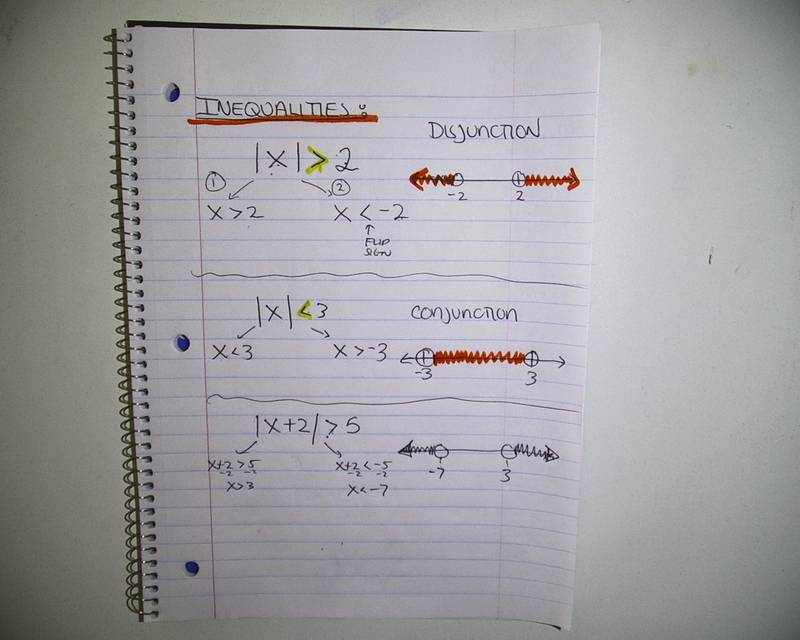 Period 2,4: Finish 5 substitution problems from class. For all periods: No homework today. 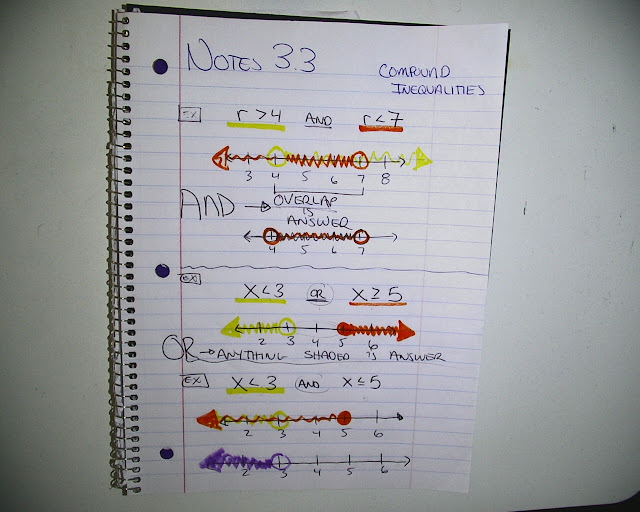 Monday, bring your planner to class, we will start using it to keep track of your homework. Have a good weekend. Tomorrow is the last day to turn in syllabus, tardy policy, and the dinosaur graph, for those of you who have yet to turn it in. 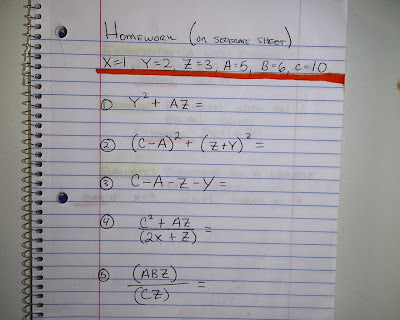 Homework: Periods 1,3,5,7 - No homework. 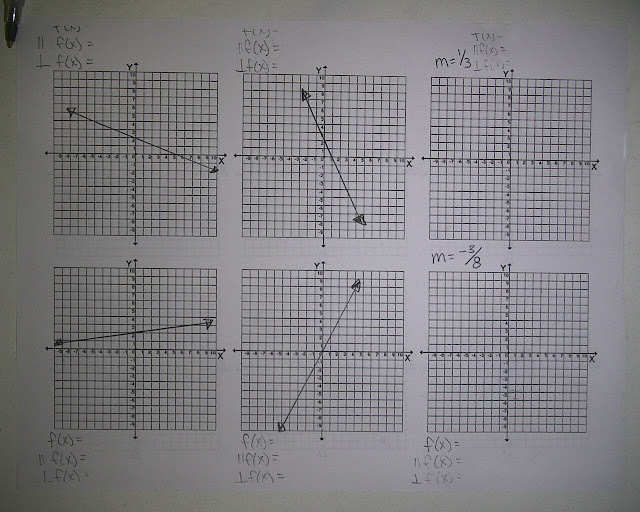 Periods 2,4: Finish graphing the points. It's a dinosaur. Sorry for the lateness, I was told this did not post just now @ 10 pm. Homework for all classes: Bring back syllabus and tardy policy SIGNED to me tomorrow. Today we went over the syllabus and tardy policy. There are links on the right hand side of the page. Hello and welcome to my class. This year I am teaching both pre algebra and advanced algebra. Come, look around the many links on this site, and get used to where things are. 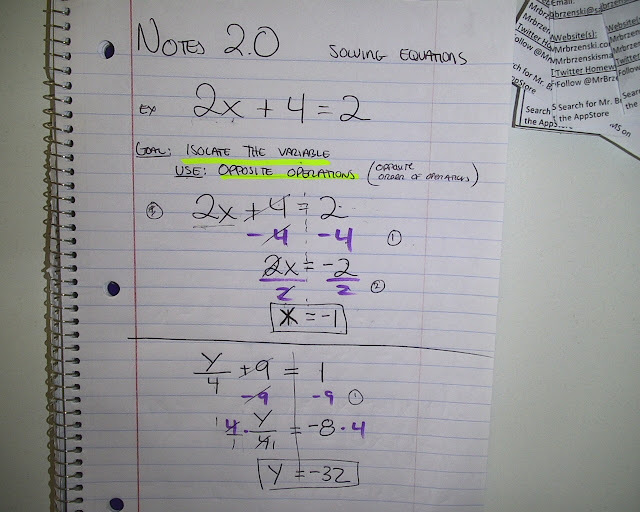 Be sure to check my YouTube page for videos of our lessons, and follow me on twitter @MrBrzenski to get the homework feed. 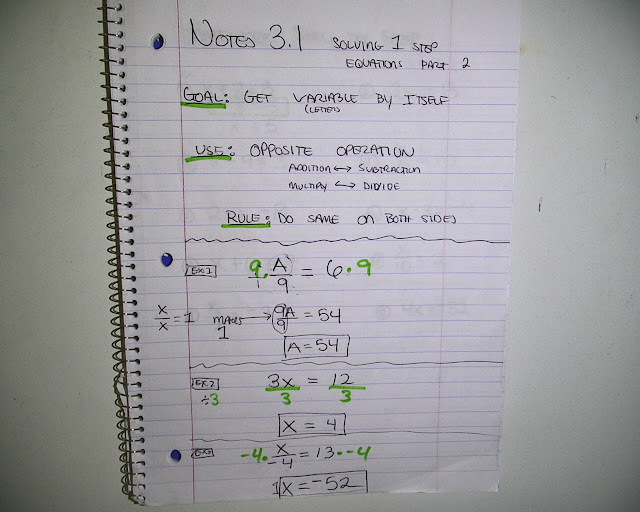 I realize most people do not look at the help, or read examples, or do anything before trying to play Operation Six. You do not have to use all 6 numbers in Operation Six!!!! Try using two of the numbers. Heck, one will work. 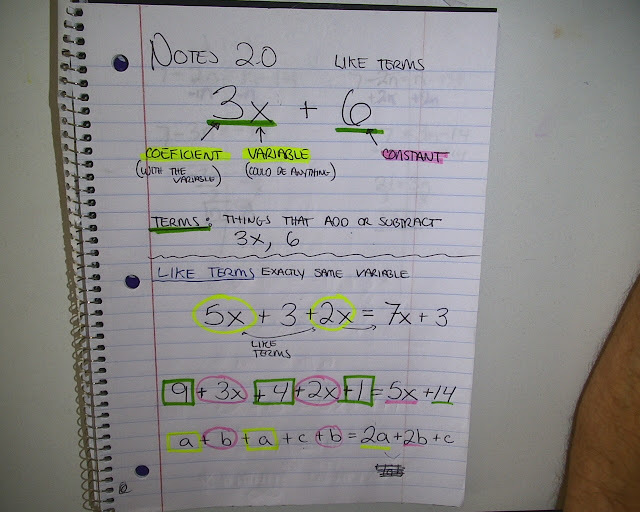 Using all six is really hard to do, but using less is still ok. I probably have to add a tutorial that is mandatory, so more people understand what to do. My new app, Operation six is out for iPhone and iPod Touch. Check it out. There is a solver in case you can't get a particular solution. 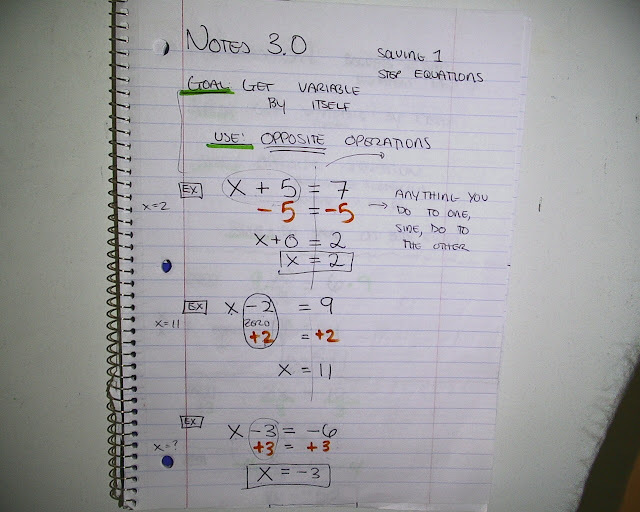 There was a game called "Four-Fours" where you have to make every number 1-100 using only four 4's and the operations. It was fun, and I wanted a game similar but easier for normal people to do. Enter "Operation Six". Use six randomly generated numbers to get the numbers 1-30. You can use less than all 6, but the ultimate goal is to use all six. I am pretty sure there is a formula that says this is always possible, but I have to double check. Coming soon for iPhone, then iPad. iPhone has 30 levels, iPad has 60. Which country does math better, US or Germany? My current rental car is a Chevy, and this is what I noticed. My battery gauge is split into 8 equal segments, with the lowest being 8, the highest being 18. How many volts is each segment worth? My gas gauge has 8 equal segments, and my tank is 20 gallons, how many gallons is each 1/8th of the gauge worth? My VW has a gas gauge split into 16 segments, and I have a 16 gallon tank. How many gallons is each section worth? My temperature gauge ranges from 120 to 320, split into 10 segments. How much is each section worth? I think Europeans pay attention more. 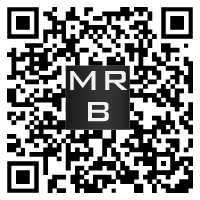 Even cooler QR code. Using a QR generator like THIS, you can set the error correction level so high as to be able to distort up to 30% of it, and the best way of distorting that 30% is with some cool picture or logo.